Don’t mess with me, I’ve got a good lawyer now! I proudly announce: my little sister finally graduated from law school on Friday! And I am sooo proud of her! 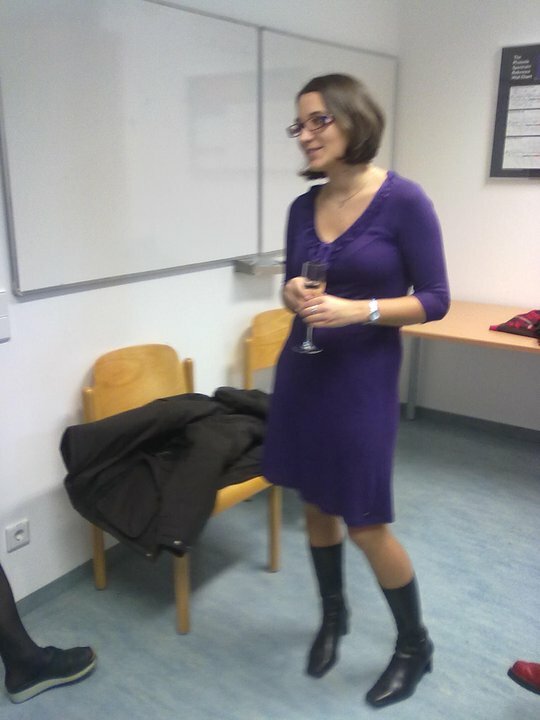 She did not allow me to take photos before the final exam, but here’s a relaxed one right after the exam with her sipping champagne. I really enjoy having her as a sister. I mean it was not always easy and we certainly had our share of fist fighting. I think that is just how it should be between sister and brother. However I guess we both can say that we are pretty glad we have each other! And while we both work on building our own lives we there are still bonds. Log time no see. First of all I’d like to wish you all the best for the new year. 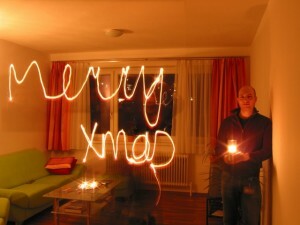 Here’s a photo that I made to share my Christmas wishes! But then came the long awaited Christmas holidays. Time to relax a little bit, read books, come up with good new year’s resolutions and do the things that you would usually not have time for. 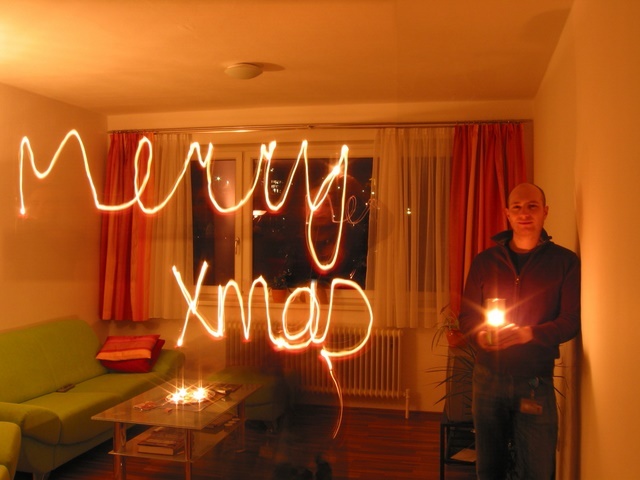 I had a lot of fun doing that and really enjoyed the time of late night programming that the holidays allowed me to take. It would be great to hear from you what you think about it. If anyone wants such a system too, I can help you set it up, just drop me a line! Meanwhile I wish you all the best for 2011 and keep on rocking!